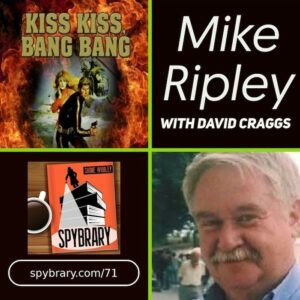 Free Agent by Jeremy Duns on the Spybrary Spy Podcast We are thrilled to transmit the first in our series of commentaries on spy novels read by the students of … [Read More...] about Free Agent by Jeremy Duns (Commentary) Ep 74. 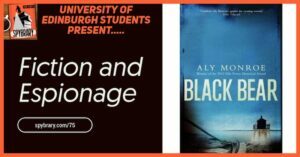 Fiction and Espionage series introduction by University of Edinburgh's Penny Fielding and Simon Cooke. 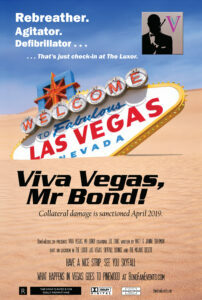 Spybrarians, we are in for a real treat. 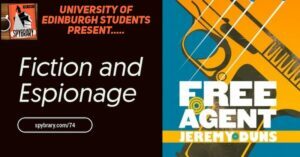 Our good friend Professor Penny Fielding and her colleague Professor Simon Cooke of the University of Edinburgh … [Read More...] about Fiction and Espionage – University of Edinburgh Intro.